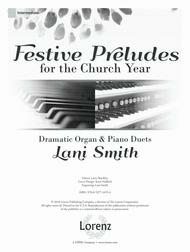 Dramatic Organ & Piano Duets. Arranged by Lani Smith. Sacred, Christmas, Easter, Patriotic, Reformation, Thanksgiving. Church Organ and Piano Duet. 64 pages. Lorenz Publishing Company #70/1937L. Published by Lorenz Publishing Company (LX.70-1937L). 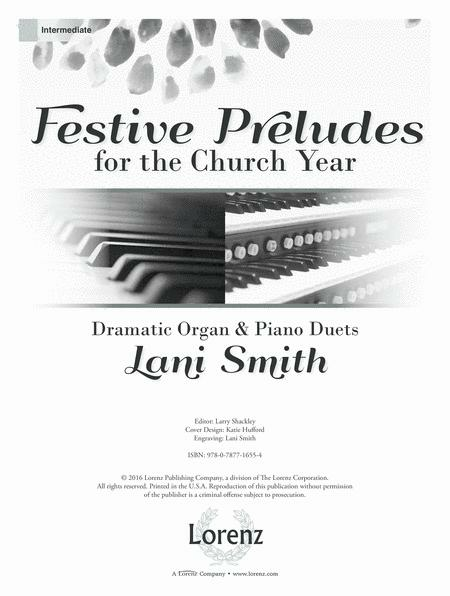 Reflecting Lani's dedication to providing church musicians with quality and practical music, this rousing collection of duets provides exciting arrangements for the most celebratory days on the church calendar. These stirring works exhibit his mastery of keyboard color and texture. Two copies are required for performance.